The path to enlightenment is paved with good intentions. Ja Rule and Ashanti have officially made it to the post-aughts with their tried-and-true pop/hip-hop with an R&B twist, and it seems like there's plenty of room (and a sizable crowd) waiting for Murder Inc. to rule the radio again. Ja Rule Goes On Tour with Hit Making Music Partner Ashanti! Ja Rule defined an era of catchy R&B, making music about love, conflict and relationships while collaborating with artists Jennifer Lopez, Ashanti, Mary J. Blige and more. His debut release 'Venni Vetti Vecci' came out in 1999 and hit number three on the Billboard 200 chart before going Platinum. After this, the rapper was no stranger to being placed in the top 20 of the U.S. Billboard Hot 100 chart. 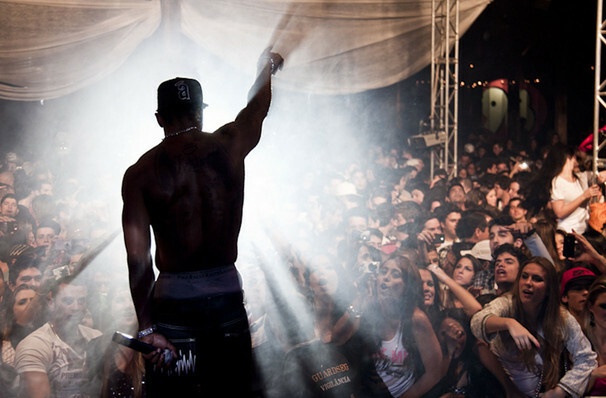 During this tour, he will also be joined by R&B superstar Ashanti, who joined forces with Ja Rule in the noughties, creating memorable rap/pop love songs. Seen Ja Rule? Loved it? Hated it? Sound good to you? 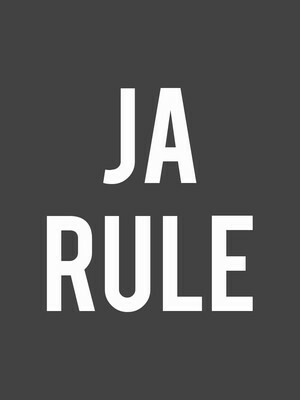 Share this page on social media and let your friends know about Ja Rule at The Warfield. Please note: The term The Warfield and/or Ja Rule as well as all associated graphics, logos, and/or other trademarks, tradenames or copyrights are the property of the The Warfield and/or Ja Rule and are used herein for factual descriptive purposes only. We are in no way associated with or authorized by the The Warfield and/or Ja Rule and neither that entity nor any of its affiliates have licensed or endorsed us to sell tickets, goods and or services in conjunction with their events.